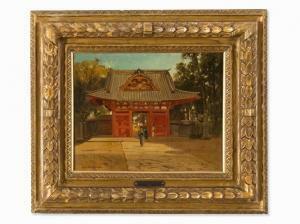 Find artworks, auction results, sale prices and pictures of John Ii Varley at auctions worldwide. with T.J. Larkin, 1891; sale ('The Property of the late T.J. Larkin, Esq.') 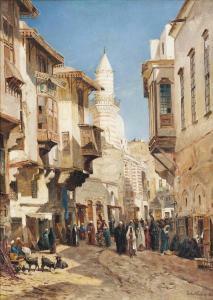 Christie's London, 2 August 1918, lot 66. D. Wilson, Dolwyddelan, Caerns (inscription). The artist is John Varley Jr (1850-1933) not John Varley (1778-1842) as stated in printed catalogue. London, T.J. Larkin (Japanese Gallery), Land of the Rising Sun: Pictures of Japan by Messrs. John Varley and Chas E. Fripp, 1891, no. 60. 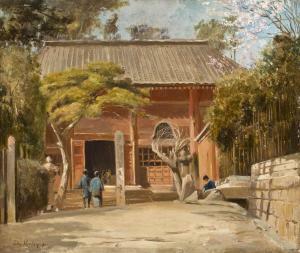 The same composition can be found in the Shipley Art Gallery. 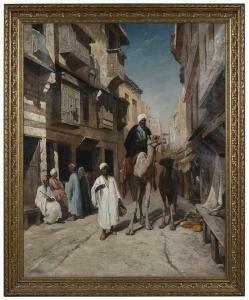 Sale, Sotheby's London, 15 November 2001, lot 49.